Speedstore Self Storage in Honeydew, Randburg, Johannesburg provides a safe and secure storage solution, conveniently located adjacent the Honeydew Police station and adjacent to Speedspace Rentals situated in Honeydew. 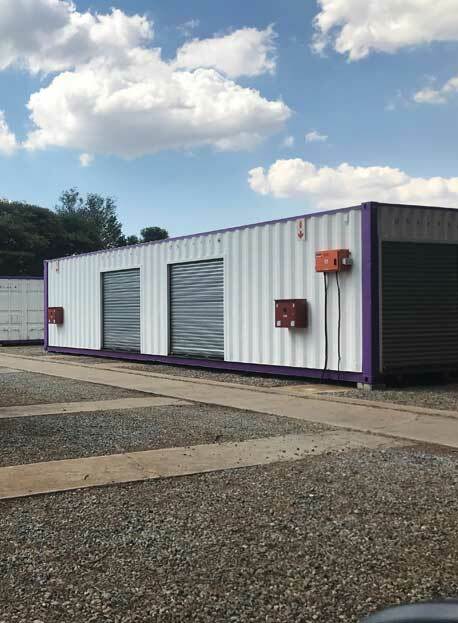 Speedstore Self Storage is a division of Ufudu Specialised Space Solutions , the Johannesburg-based prefabricated building specialist who for over 40 years specialised in providing long- and short-term modular building rental solutions to the construction and mining industry. Speedspace’s diverse range of products and the flexibility of their modular building-offering allows for customised rental solutions. As a result of the success of the rental products offered, Speedstore Self Storage was created to diversify their rental offering to the market.